Wholesale pre-assembled kits for all occasions. We offer wholesale hygiene kits and student school kits. Browse our selection on wholesale kits sold by the case. If you can't find what you're looking for we can customize our kits to your needs. Some organizations don't have the power to pre-assemble kits, that's why we do it for you. 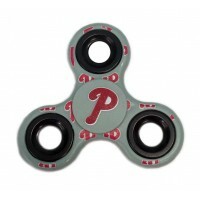 All you need to do is hand them out! 10 Pc. School Supply Kit $4.00 Each. 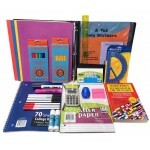 Wholesale Universal Starter School Supply kit 10 Pc.This is a great way to donate to local children .. Elementary School Supply Kit $11.50 Each. Wholesale Kids School Supply Kit with 30 Pcs. 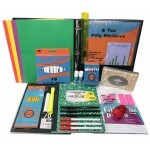 The best deal for elementary school kits on ..
Middle & High School Supply Kit $12.50 Each. Kids School Supply Kit with 30 Pcs. The perfect kit for kids in middle & high school. 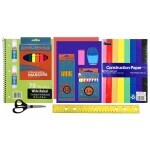 - 1- ..
Primary School Supply Kit $11.50 Each. 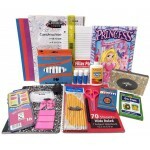 Wholesale Kids School Supply Kit with 27 Pc. The Perfect school kit for K-2nd graders. The following..
School Supply Pouch Kit $2.60 Each.